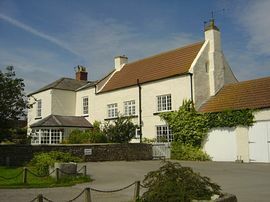 Mill Close Farm is a 17th century working farm set in beautiful rolling countryside at the foot of the Yorkshire Dales. The farmhouse is surrounded by a cluster of stone buildings, woodland, wild flowers and pasture. These all help make Mill Close Farm a peaceful retreat with stunning views of Dales and Moors. Bedrooms have extra large beds, silent fridges with complementary mineral water, fruit and hand made chocolates. 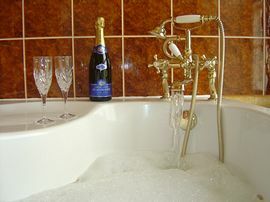 Bath robes, toiletries, a selection of beverages, wine glasses and a corkscrew are all available. 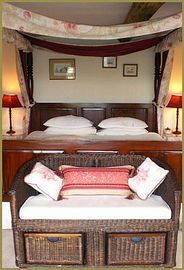 We have one four poster suite, two rooms have spa baths and one en-suite shower. 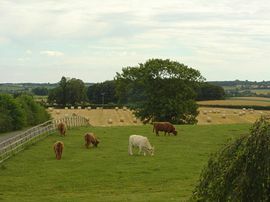 All rooms overlook the garden to the fields beyond where cattle and sheep graze. A large secluded walled garden with lily pond surrounds the farmhouse. Traditional and speciality breakfasts are available - we use local produce where possible, are members of the Deliciously Yorkshire Breakfast Club and have an AA breakfast award. We're ideally situated between the Yorkshire Dales and Yorkshire Moors with its many Castles, Abbeys, Stately Homes and abundant fauna and flora. From the A684 in the village of Patrick Brompton, follow the brown tourist signs. 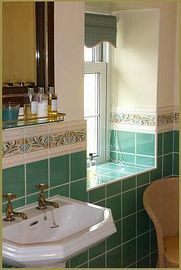 Bed & Breakfast from: £40.00 per person.